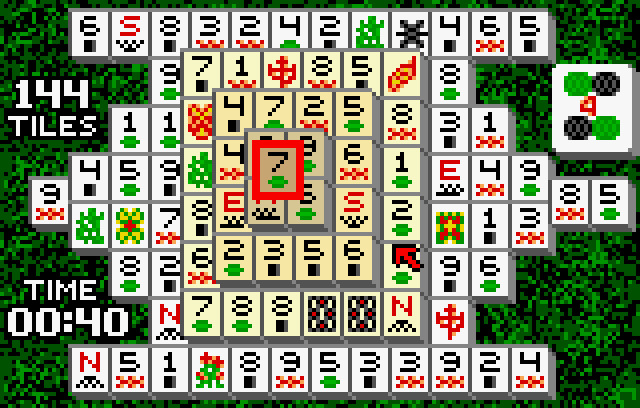 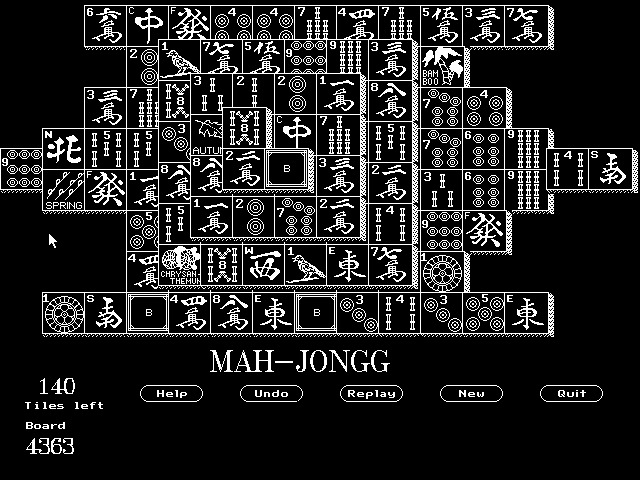 Shanghai is a solitaire game concept, played with Mahjong tiles instead of cards. 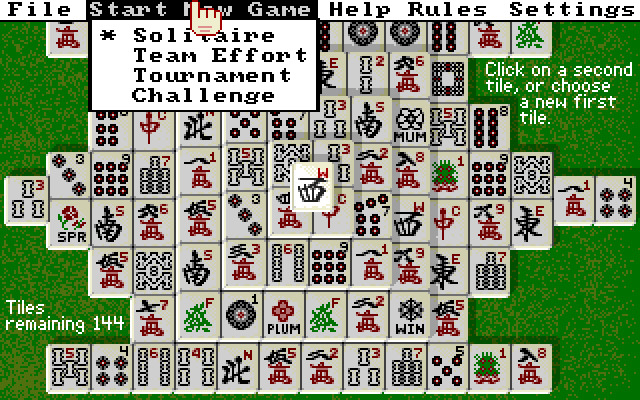 The first video game about Shanghai solitaire was released in 1986. 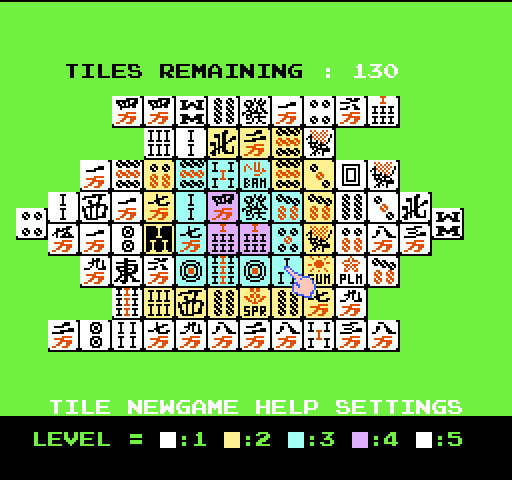 Shanghai is often confused with Mahjong, but it has nothing to do with the "real" Mahjong, except that it uses its tiles. 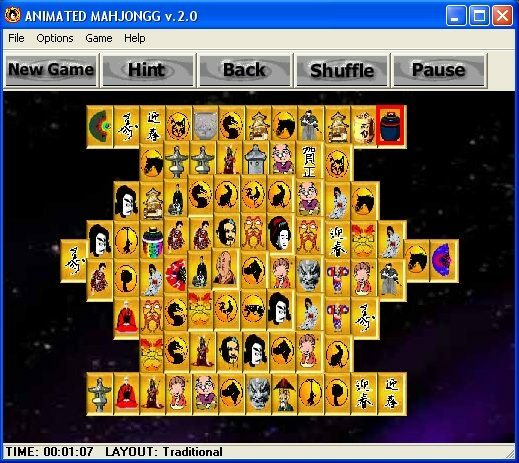 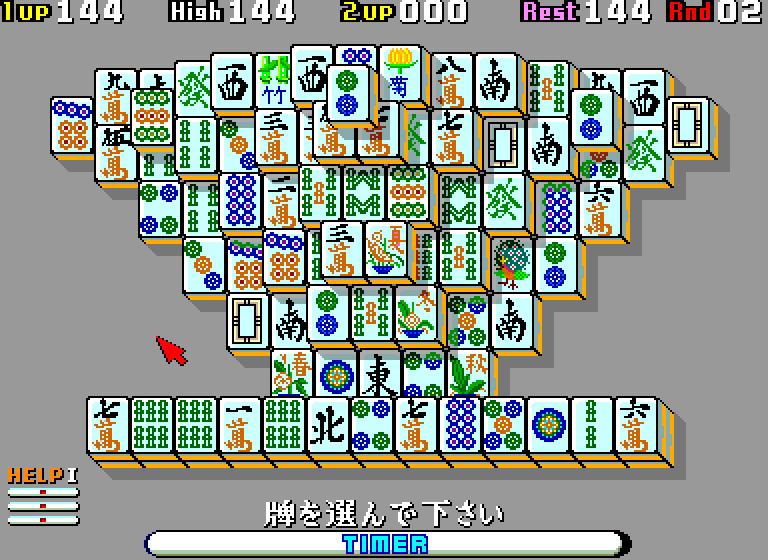 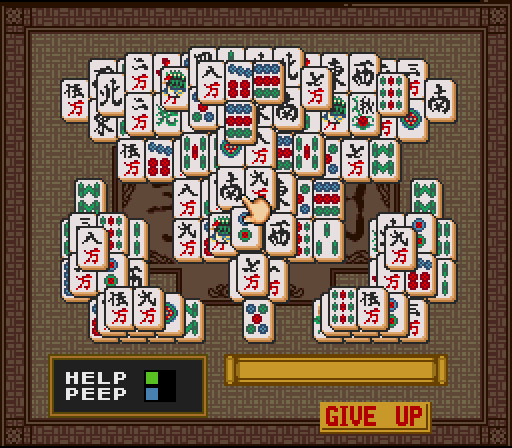 The concept of the game is also called "Mahjong solitaire". 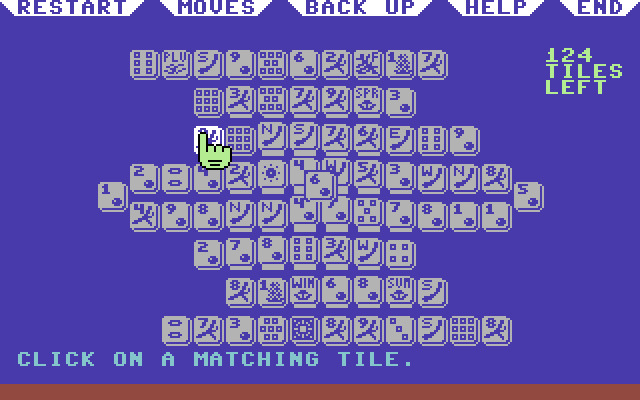 The goal is to remove exposed pairs of tiles from a pile until all tiles are removed. 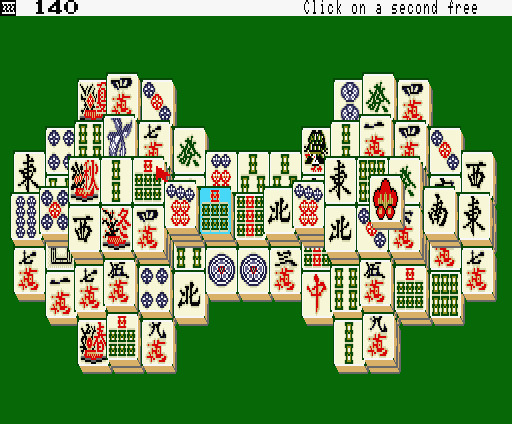 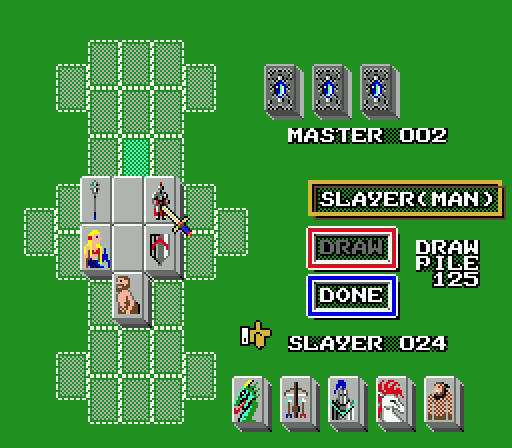 While there were games with this concept in the early 80s, the big success came with Activisions Shanghai release on computers such as the Macintosh and Amiga in 1986. 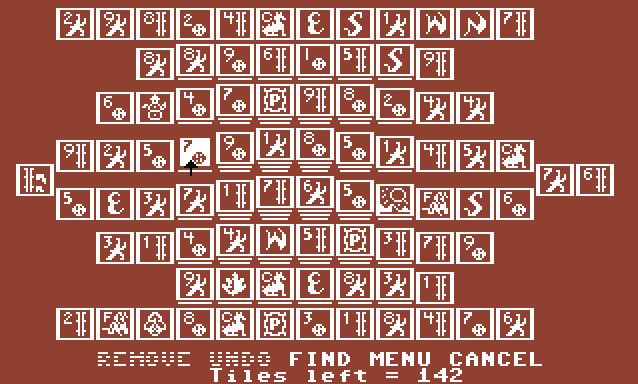 Over the years many game variants appeared. 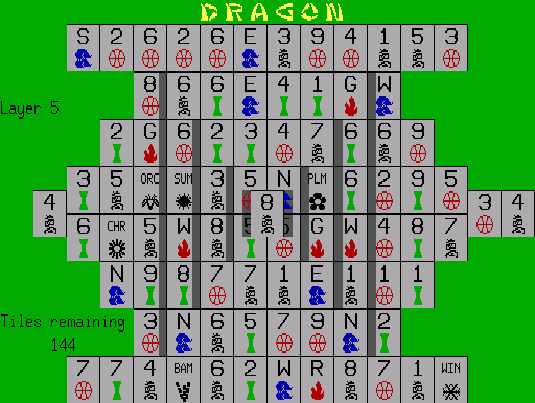 Today it's a popular puzzle game type.